As ones learns more about their ancestors, there can surface some very unusual characteristics of a specific group of relatives. This is especially true of the ‘Blue People of Kentucky’. This feature of a blue skin shade is with the Fugate family who were of French Huguenot descent, with the original immigrant ancestor coming over from France in about 1820. 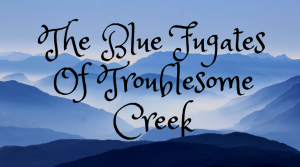 Settling in the remote and isolated hills of Kentucky, there weren’t a lot of other people nearby, and marrying people who were closely related became common among the Fugates. This led to the propagation of the genetic condition that gave them their distinctive blue skin color. The original Fugate ancestor to America in 1820 was Martin Fugate, an orphan from France. He married Elizabeth Smith in America, settling in Hazard, Kentucky (on the eastern side), who carried a recessive genetic condition named methemoglobinemia, which gives a blue-tone skin color. The couple had seven children, two which had this gene for the blue-tone skin. First was their son, Zachariah. With inner marriage with others carrying this recessive gene for decades, quite a few had this skin condition, each in various degrees of blueness. 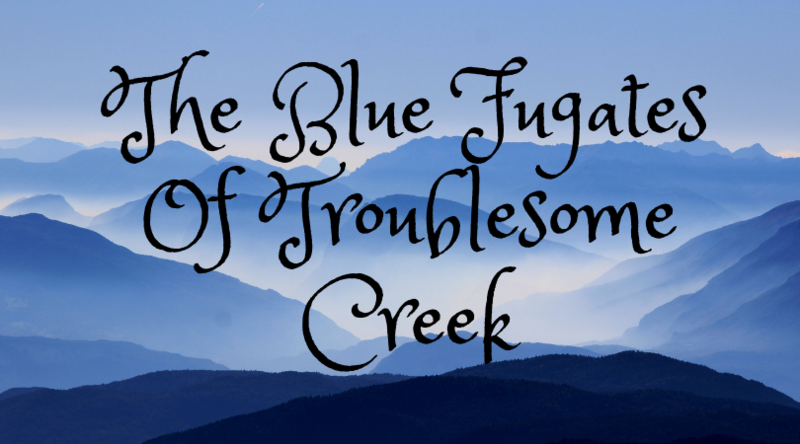 They became known as the Blue Fugates of Kentucky, living for years in Ball Creek and Troublesome Creek. With time, now mid to late 20th century, more of the Fugates were marrying others from outside their area making the birth of a blue child less likely. Doctors in the late 20th century were studying their condition and figured the use of methylene blue in pill form, taken regularly kept the skin a normal color. Such physical trait that could add to someone’s uniqueness did not bother the Fugate and other relatives over the years. Beside the Fugate name, there were Stacy, and Richies.